will take place at the Restaurant Tiefenbrunnen (Tösstalstrasse 76, 8400 Winterthur) on Wednesday 28th October 2015 beginning at 6.30pm. 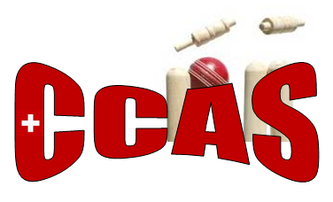 The following agenda has been distributed amongst qualified cricket coaches in Switzerland and apologies for absence, nominations, and/or additions to the agenda are invited by the CCAS Secretary. Restaurant Tiefenbrunnen, Tösstalstrasse 72, 8400 Winterthur, begin 6.30pm.